Exciting news! We’re pleased to be able to tell you now that we’ll be playing at Indietracks festival this year in Derbyshire! 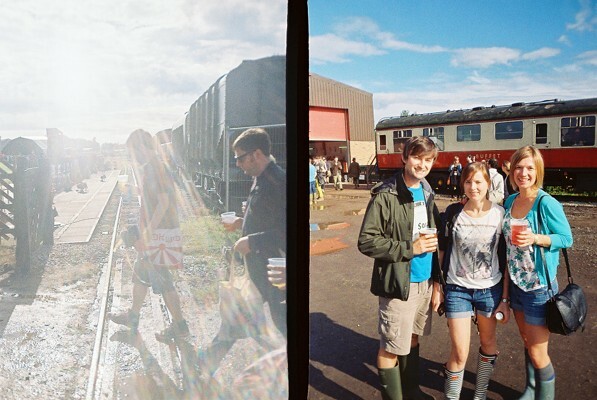 We first played Indietracks in 2012 and are thrilled to be back. The timing couldn’t be better too, what with our album being out and all. The festival takes place 29-31 July. We’ll be playing on the steam train again, although we’re not sure which day yet. Update: This has now been confirmed now: we’re playing Saturday at 4.15pm. Plenty of our friends and favourite bands are also performing, and early bird tickets are still available if you get them before 15 May.